Word has it that Mario Draghi is busily working up a new version of his “whatever it takes” methodology. This time the objective is not saving the Eurozone, but maintaining the region’s inflation at or near the ECBs official 2% inflation objective. The first time round the President of the Euro Area’s central bank had it easy, since market participants took him at his word and he effectively needed to do nothing to comply. This time though, as they say, it will be different. The Czech Economy That Didn’t Bounce? The Czech republic has been making the news recently. On the one hand the country has been on the receiving end of massive, devastating floods, while on the other the country’s government was brought to the brink of collapse (and beyond) by the resignation of Prime Minister Petr Necas following the arrest of one of his most trusted aides on corruption charges. After the deluge I suppose. Discussions of the population problem have always had the capacity to stir up public sentiment much more than most other problems. It’s amazing what you can achieve these days just by promising to do something. It’s also fascinating to watch just what a storm you can stir up. A surprising moment of consensus: Der Spiegel and the Taz both rip into Peer Steinbruck, former German finance minister and leading the race for the SPD’s candidacy as chancellor. Not only that, they do so for substantially the same reasons. First, they agree that Steinbruck denied in the autumn of 2008 that the financial crisis was a problem, claiming that it was the Americans’ fault and nothing to do with Germany, and even said that there was no need to bail out the banks. Secondly, they agree that he argued vehemently that a response to the crisis would be national-but-coordinated, rather than European, thus leaving Ireland and Spain to cope on their own, and he refused to lead an IMF working group on the issue. These days, he supports euro-bonds. Thirdly, despite all his bluster, he then reversed course and bailed out the banks, setting a precedent. Meanwhile, Guy Verhofstadt and Danny Cohn-Bendit have a manifesto. What can those two possibly agree on? Inevitably, it’s more federalism. As with everyone who uses the phrase “more Europe”, what they want to do with it isn’t clear. We argued that the fundamental problem was that we’d joined the ERM at the wrong rate; sterling was overvalued, meaning that we were stuck with a structural current account deficit. The only way to maintain the peg would be through what is now, in the eurozone context, referred to as “internal devaluation”; that is, real interest rates at a higher rate than dictated by internal conditions, and a long and grinding squeeze on wages and prices. Our solution? We didn’t dare suggest complete abandonment of the ERM. One possibility was for sterling to “realign”, that is devalue, to a considerably lower rate, boosting exports and allowing interest rates to fall. Even better, politically and perhaps economically, would have been if the Germans could have been persuaded to realign upwards, so avoiding the perception that sterling was being singled out; but the French were resolutely opposed to any devaluation of the franc. The fascinating thing here is, of course, that nothing has changed. In many ways, this is because the issues haven’t changed. 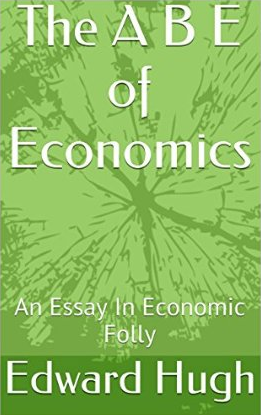 Keynes said that the whole complex problem of European currencies and trade in the 1920s could be reduced to one question: how much of France’s war debts would be paid by workers and how much by savers, whether through taxation or through inflation. The answer would set the price level and hence the exchange rate, and how much of a trade surplus Germany could run, and therefore how much of Germany’s war debts could possibly be paid. But for me, the most important lesson was a more general one about “credibility”- a concept often used and abused by both politicians and economists. As with the ERM, the argument made by the current government and its supporters for sticking to its fiscal consolidation plan, despite its evident failure, is that the strategy has established “credibility”, especially with financial markets, which can only be preserved by sticking with it. The real hit to credibility comes from sticking to unsustainable policies; and economic success comes from abandoning them and doing something sensible instead. That is one lesson from Black Wednesday we could usefully remember. Meanwhile, Migeru from the collectif antilibérale has an excellent column taking a sector-balance approach.